From AbilityPharma we are pleased to announce that next September 12 our crowdfunding campaign #notwithoutyou will be officially opened through the company Capital Cell, a pioneering online investment platform in Europe specialized in biotechnology and health. 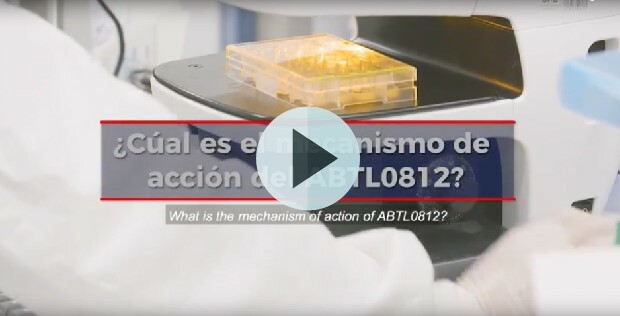 Today we would like to explain in more detail our drug ABTL0812 and its mechanism of action. ABTL0812, is a "first-in-class" anticancer compound, administered orally. It binds to the PPAR α/γ receptor, causing the inhibition of the PI3K/AKT/mTOR metabolic pathway, which is modified in almost 50% of human cancers, and causing reticular stress of the cancer cells. The combination of TRIB3-mediated inhibition of the PI3K/Akt/mTOR pathway and the induction of ER-Stress results in cancer cell death mediated by autophagy (autodigestion), giving it great potential in different types of cancer. Currently, our drug is in phase 2 clinical trials in patients with endometrial and lung cancer, in Spain and France, in combination with chemotherapy. After chemotherapy the drug ABTL0812 will continue to be administered as a chronic treatment in order to reduce the number of relapses to the disease. The IND for clinical trials for pancreatic cancer is approved in the US, we plan to continue investigating other oncological indications such as the pediatric cancer neuroblastoma, cholangiocarcinoma, resistant breast cancer, head and neck cancer or glioblastoma. On the occasion of our crowfunding campaign #notwithoutyou, we have prepared a summary guide with the most important information of our company and our project, we invite you to download the guide here.